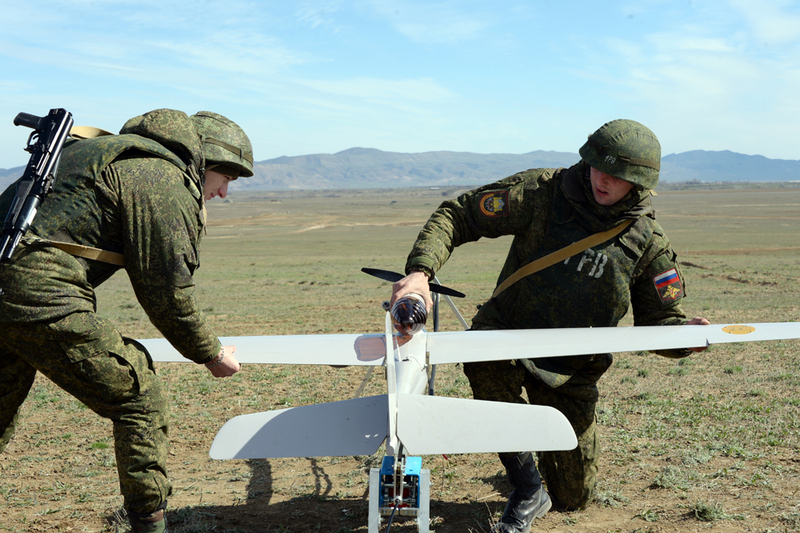 Servicemen prepare a drone for launch during a drill of the Southern Military District troops. The Polish Defense Ministry has stated that it has strengthened the country's borders against the penetration of an unprecedented number of Russian drones. In an interview with Poland’s TVP television channel Polish Defense Minister Antoni Macierewicz accused Russian drones of massive incursions over the country's borders. Macierewicz said that this aircraft had entered Polish territory over the course of an unspecified period of time from the Kaliningrad Region, the Russian enclave on the Baltic Sea coast between Poland and Lithuania. The defense ministry has undertaken all necessary measures to strengthen the country's defense capacity and air space. Currently, the violations bear an "exceptional" character. Macierewicz did not, however, present any concrete evidence. In the words of military expert Dmitri Safonov, the Russian army has used pilotless flying apparatuses in all of its latest military drills. "Hundreds of drones are used in the course of joint operations between Russia and Belarus in the Kaliningrad Region and it is very likely that some of them could have violated Poland's air space." Safonov stressed that Poland had the unconditional right to shoot down the Russian drones over its territory. "Everything is possible,” he said. “However, Antoni Macierewicz's statement should be taken with some skepticism since Poland is the main ‘provocateur’ within NATO in terms of anti-Russian rhetoric. This could be a case of an unsubstantiated accusation against Russia." Macierewicz's statement about the drones came following the news of three Russian transport planes being escorted by British fighters from a military base in Ämari, Estonia. The UK did not specify when and in whose air space the incident took place, but called the flight of Russia's military-transport aviation "an act of aggression from Russia."